If the broom fits...where it!! 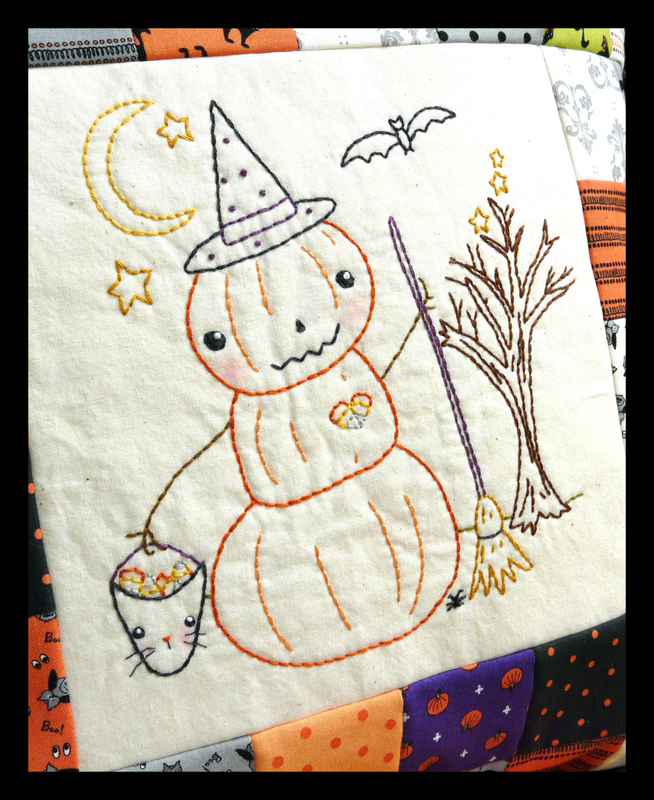 Stitch up some Halloween fun! If the broom fits....wear it! the project is fast and easy! 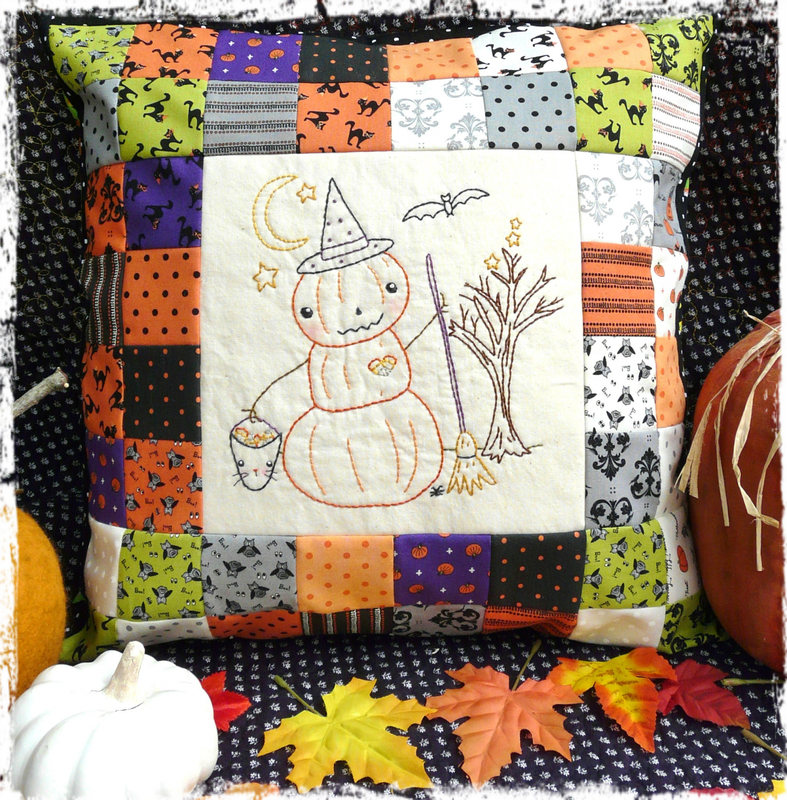 This pattern is charm pack friendly! 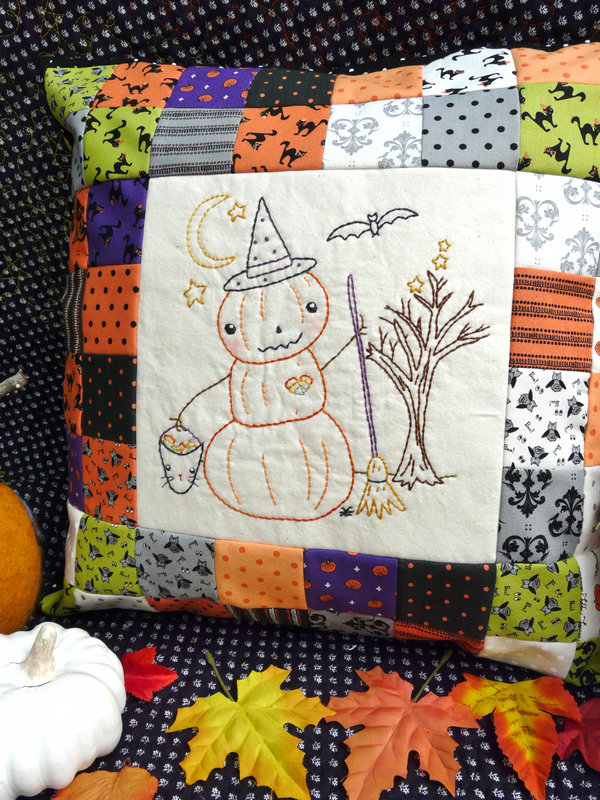 Use your fun Halloween fabric to make this bright pillow. Embroidery design measures: 7 1/2" x 7 1/4"
Finished pillow: 17" x 17"